Spring is finally around the corner and everyone is starting to make plans for the warmer days ahead.The coming weeks are filled with special occasions and family gatherings, and Canadian Turkey is here to show you how to create spectacular meals that will wow your crowd while still being easy to prepare. Canadian Turkey can help you find ways to plan ahead and let you in on tips and solutions to make entertaining and everyday meal planning easier so you can spend more time enjoying the day. 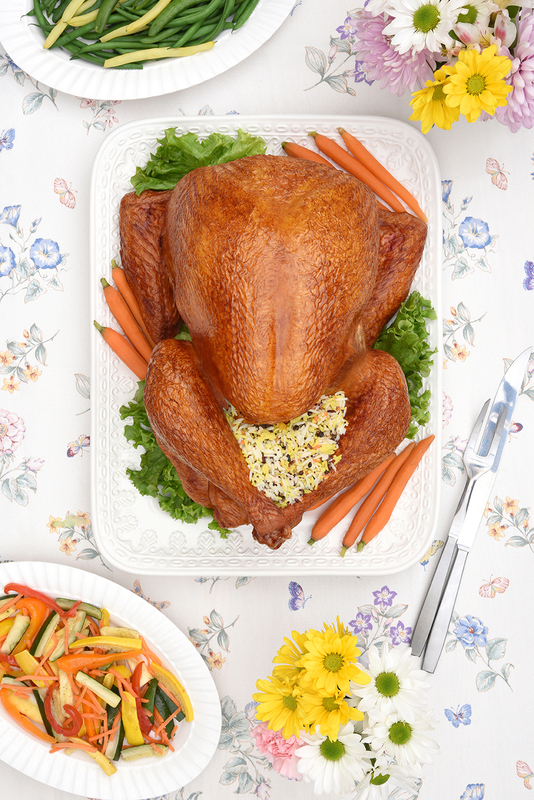 Turkey is an excellent option for upcoming occasions like Mother’s Day, Victoria Day, or Father’s Day, and it’s perfect for festive family gatherings like spring communions, confirmations, and graduations and weekend suppers. When planning for upcoming special events, getting organized and keeping things simple will allow you to spend more time mingling with family and friends and help you enjoy these get-togethers. Cooking a whole roast turkey will easily feed a large group of people, and makes a beautiful and festive presentation. And once your turkey is roasting in the oven, you’re left with precious free time that you can use for additional meal prep, or you can join your guests and enjoy the day. A roast turkey is surprisingly easy to prepare! There are only a few basic and easy steps to ensure a perfectly cooked, moist and tasty dinner. You can certainly get a little more creative with different stuffing recipes, rubs and marinades, but if you are short on time or like to keep things simple, a basic recipe of seasoning and olive oil does a delicious job. A busy cook will love how easy it is to prepare a whole turkey – just prep and season it and then let your oven do the work. With the addition of some rice or potatoes and a few vegetables side dishes, you have a complete meal that will impress all your guests. Trying to make allowances for dietary needs and preferences? Choosing turkey allows you to create a lighter and healthier menu while still making a show-stopping meal. A classic roast turkey will satisfy a crowd, and provides a large selection of both white and dark meat to satisfy everyone’s preferences. All cuts of turkey are lean, both white and dark meat. Turkey is also a very economical choice when shopping for a special occasion. Break it down on a person-by-person basis, and you will be surprised at how inexpensive it can be. It is the perfect mealtime solution for all your upcoming family events and get-togethers. The other huge benefit to choosing a whole turkey as your centerpiece is that it allows you to plan for leftovers. Canadian Turkey knows that leftovers can be lifesavers! Just two pounds of extra turkey meat is all you need to have a ready-to-go meal starter on hand. Planning for extra turkey means planning for extra meals, cooked all at once and stored in the freezer. That makes for easy weeknight dinners when time is short! Three to four cups of leftover meat can be the perfect base for a large variety of meals. Freeze 3 – 4 cups of leftover meat in individual freezer bags to have instant meal starters on hand – just defrost in the refrigerator the night before. These freezer meal starters can make a great base for soups, salads, grain bowls, chilis, casseroles and pastas. 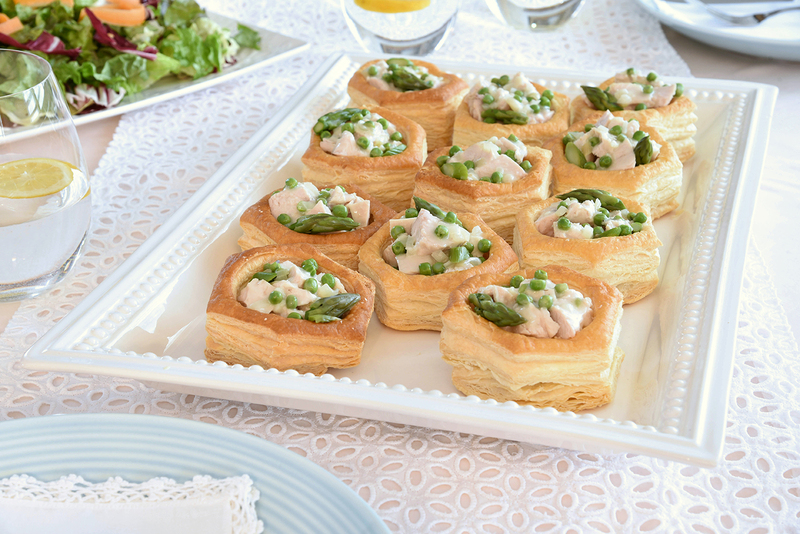 You can also create beautiful and sophisticated recipes that are perfect for entertaining. Even if you’re cooking for a small group, you can take advantage of cooking for leftovers so that you cook once and eat twice (or more). Check out the handy turkey calculator on the Canadian Turkey website so you can determine the exact size of turkey you need! 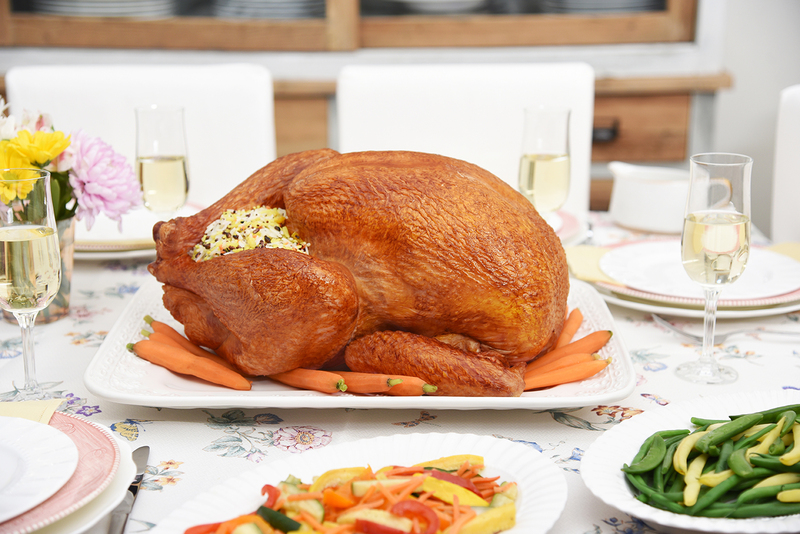 Check out how you can make Canadian Turkey your secret weapon for meals any day of the week! When it comes to meal planning, a whole turkey delivers huge value as a ‘cook once, eat twice or more’ meal. You can buy a whole turkey to cook on the weekend and feed your family for several days during the week. Freeze portions of leftovers to use as meal-starters for quick weekday dinners and lunches. Enjoying more meals at home is one of the best things you can do for your family. Cooking meals from scratch lets you control the ingredients and include more health-boosting whole foods such as turkey, veggies and whole grains. Turkey makes a fantastic everyday choice for all your protein needs. Think about switching to turkey and turkey cuts for breakfast, lunch, dinner and snacks. Turkey is lean, nutrient-rich and packed with protein to give you long-lasting energy that powers you through busy everyday schedules and activities. Turkey is packed with nutrients like vitamin B12 (important in keeping your nervous system – the body’s electrical wiring – working well), selenium (an antioxidant mineral) and zinc (for a strong immune system). Eating 20 to 30 grams of quality protein with all of your meals can help build and maintain muscle. If being more active, feeling more energized, or maintaining a healthy weight are part of your everyday goals, then consider putting more lean protein on your plate. Turkey is the power protein of choice – it’s an excellent source of high quality protein with each 100 gram portion serving up about 30 grams of lean protein. Check out this recipe for Light and Easy Canadian Turkey a la King. No one will guess that this delicious dish that comes together so easily was created from frozen leftovers. This recipe makes a tasty appetizer for a larger meal, or a perfect main dish for a brunch or lunch. Turkey pairs well with different flavours and spices, so you can modify any basic recipe and create a number of different meals. Sauté onions until translucent and cooked through, but not browned, 5-8 minutes. Add garlic and cook for an additional 1-2 minutes. Add flour to the pan and cook over medium heat until lightly browned. Next, add butter and stir until melted and incorporated with flour. Mixture should appear crumbly. Slowly add broth and milk in increments and stir until flour and butter mixture has dissolved. Add the bay leaves, nutmeg and thyme. Heat and bring to a gentle simmer until mixture begins to thicken, 6-8 minutes, stirring continuously. Add onion mixture, turkey, asparagus and peas. Season with salt and pepper to taste. Stir gently and heat until asparagus and peas are tender and cooked, 3-5 minutes. Remove bay leaves and discard. 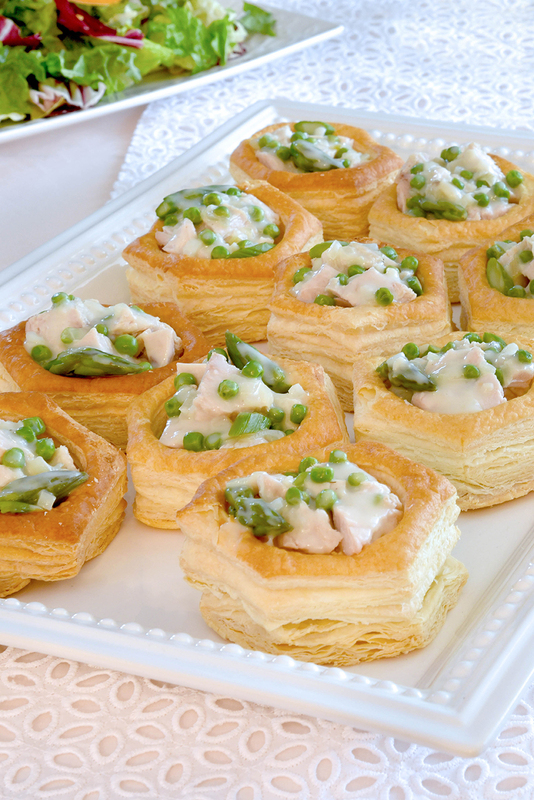 If using frozen puff pastry cups, bake according to package directions. Ladle into pastry shells and serve immediately. Use only turkey breast meat. Opt for skim milk instead of 2 percent. Switch to a low fat turkey broth or vegetable broth. 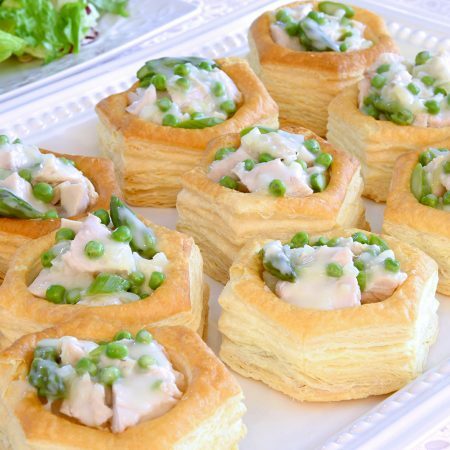 Serve over rice or noodles instead of puff pastry shells. Check out all their how to’s and amazing recipes by visiting their website. Also follow them on Facebook, Twitter, Instagram, Pinterest, and Youtube. Use hashtag #TimeForTurkey on social media to share your turkey inspired meals, and get inspiration from others! 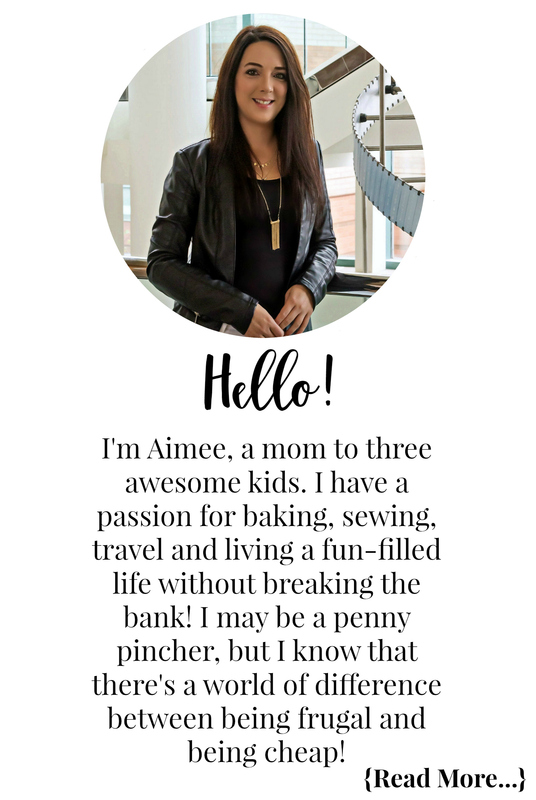 I have teamed up with Canadian Turkey to bring you this giveaway where one lucky reader will win an Hudson’s Bay gift card. This giveaway will close on May 25, 2018 at 11:59 PM EST. One winner will be drawn from all eligible entries and contacted via email on May 28, 2018. The winner will have 24 hours to respond to the email and claim their prize. If they fail to do so a new winner will be drawn. This looks wonderful! Turkey Sweet Potato Burritos also sound delicious!! Turkey noodle soup is definitely a recipe I want to try with leftovers! The leftover recipe I’d like to try is the Sky-High Veggie Packed Turkey Nachos. The easy turkey pot pie looks very yummie! I’d love to make turkey ramen – yum! I would love to try the Easy Turkey pot pie! Sounds delish! The TWICE BAKED TURKEY DIJON BAKED POTATOES sound very tasty! I would love to try QUICK ONE-POT TURKEY VEGGIE PASTA. Would love to try the QUICK ONE-POT TURKEY VEGGIE PASTA. My kids would go nuts for the turkey pot pie recipe! The Grab and Go Turkey Muffins woul be perfect for busy mornings. Grab and Go Turkey Muffins would be great for my family . I’d love to try the 15-Minute Asian Turkey Zoodles! The Cheesy Tomato and Turkey Bake sounds amazing! I’d love to try the Leftover Smoked Turkey Mac and Cheese with Bacon – looks amazing! I think the ALL-IN-ONE THANKSGIVING DINNER BOWL sounds great. I`d like to try the GRAB AND GO TURKEY MUFFINS -sounds so good!! I would love to try the turkey noodle soup. The turkey looks delicious. My family would love it. I would love to try the Turkey Sweet Potato burritos. I love soup so I would go with the turkey noodle soup. I’d like to try the Twice Baked Turkey Dijon Baked Potatoes recipe. The turkey A La King looks delicious! Turkey Sweet Potato Burritos looks the most appealing to me. I would love to make the Tex Mex Turkey Casserole! I can see that becoming a family favorite! The All-In-One Thanksgiving Dinner Bowl recipe would be at the very top of my list for using leftovers – yum!! EASY TURKEY POT PIE…Pot pies are my weakness and my favorite comfort food! The turkey gumbo sounds delicious!! The spicy peanut noodles with turkey sounds delicious!